If you're got light, you've got power. This wireless solar keyboard makes battery hassles a thing of the past. Design allows it to charge itself with any light, including the one on your desk, and store power up to 60 days. 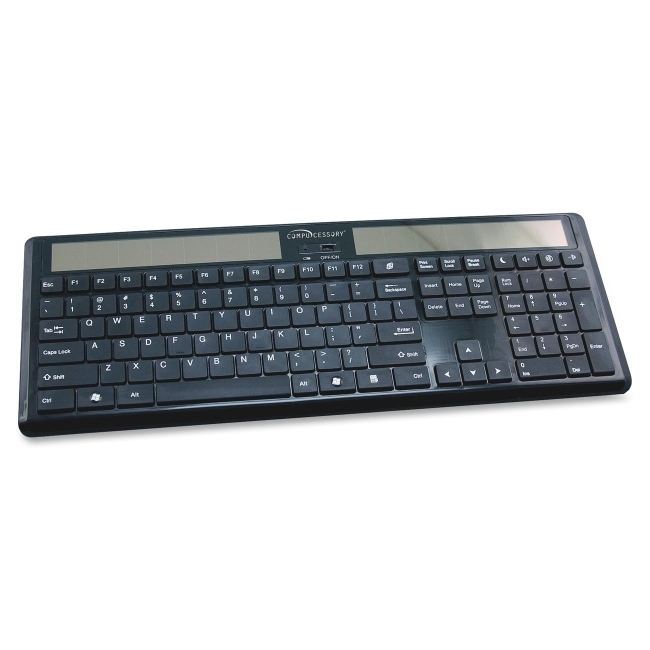 Full keyboard features a thin profile, 2.4 GHz wireless connectivity, and plug-and-play compatibility with Windows 2000, XP and Vista 7.